Each of our custom pieces begins with a black and white line drawing. We selected 20 of our favorites for you to enjoy in our new coloring book. 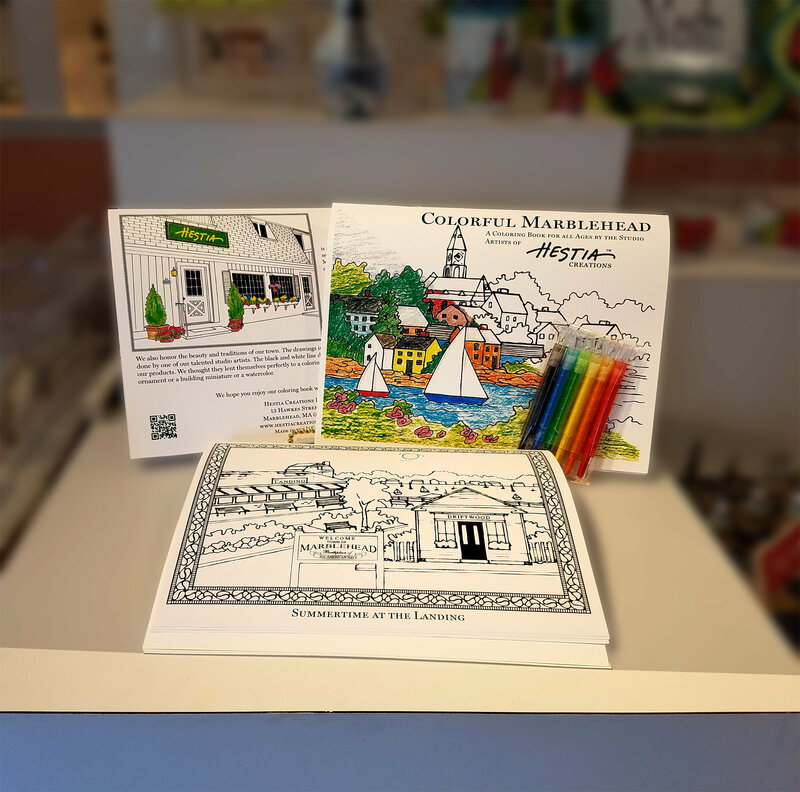 Each drawing was created by one of our talented studio artists and went on to become an AmeriScape ornament or a VillageScape building miniature or a Hestia Impressions watercolor. A map is located in the back of the book to help you identify where these buildings or scenes are. Also included are brief descriptions which celebrate the unique identity of the scenes. Each drawing is preforated for easy tear outto share or to hang. The unique design also allows two to draw at the same time!